KNOXVILLE, Tenn. – No. 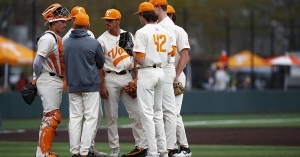 2 Georgia jumped out to an early lead and never looked back to earn a 7-1 victory over Tennessee in Sunday’s series finale at Lindsey Nelson Stadium to salvage a game in the series. After being held scoreless over the first two games, the Bulldogs jumped out to an early 5-0 lead with three runs in the first inning and two in the second off of UT starter Zach Linginfelter, who was pulled after just two innings. UGA starter Tony Locey worked out of a couple of early jams before settling into the game and was dominant for the remainder of his outing, allowing just three hits in six shutout innings to improve to 6-0 on the year. The junior right hander had four strikeouts and retired the final 12 batters he faced before making way for Zac Kristofak, who pitched the final three innings to record his third save of the year. 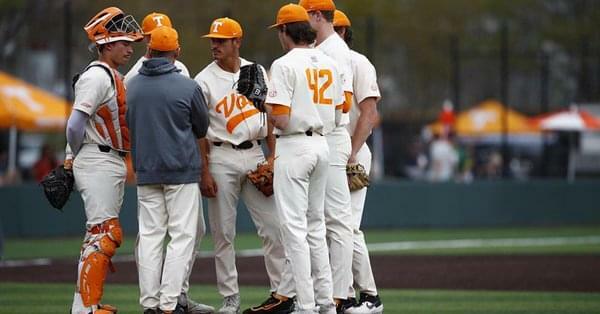 The Vols squandered a couple of early opportunities to get back in the game, leaving runners in scoring position in the first, second and third inning. Tennessee had a great chance to chip away at its deficit in the second after loading the bases, but Max Ferguson grounded out to the pitcher on a check swing to end the inning. Georgia extended its lead to 7-0 in the fourth with a two-run homer by Aaron Schunk, his sixth of the season, and second long ball of the day for the Dawgs. Schunk finished the day with a pair of hits, two runs and two runs batted in to lead UGA at the plate. Tucker Maxwell also had a productive day for the Bulldogs after moving into the leadoff spot, going 2-for-4 with three runs. Andre Lipcius led the Vols with two hits, including his team-leading 12thdouble of the year while Evan Russell drove in the only run of the game for UT with a leadoff solo home run in the bottom of the ninth to break up the shutout. 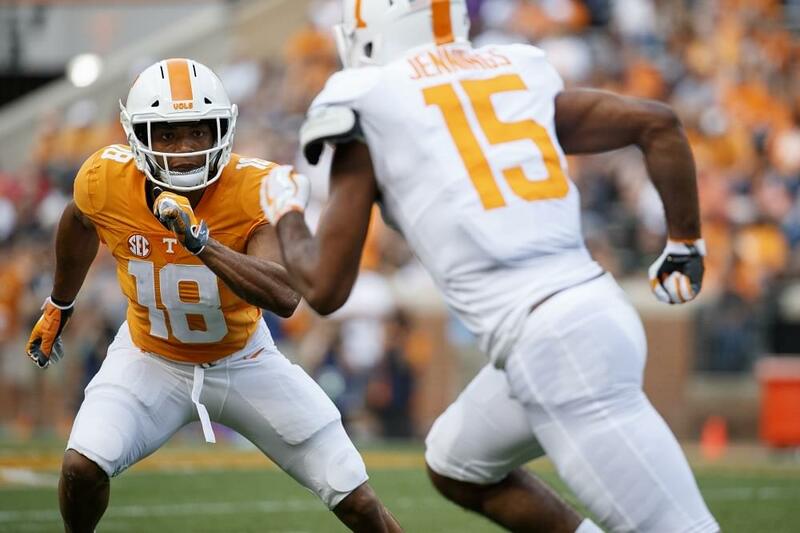 Freshmen Jake Rucker and Christian Scott had the only other hits on the day for the Big Orange. RUSSELL GOES YARD: Sophomore Evan Russell made the most of his only at-bat of the series, blasting a no-doubt solo home run over the porches in left field to break up Georgia’s shutout bid in the bottom of the ninth. It was the fourth homer of the year for Russell, which ranks third on the team. UP NEXT: The Vols close out their nine-game homestand on Tuesday night against Morehead State. First pitch is slated for 6 p.m. and the game will be streamed online via SEC Network+ and the WatchESPN app. 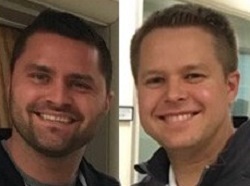 Fans can also listen live as John Wilkerson and Vince Ferrara call the action for the Vol Radio Network (AM 990).